Souvenir NameBeta PenMOQ50 PCSProduct Size160x8 MMMaterialAluminiumAvailable ColorGold, Silver, Blue.. Souvenir NameUSB Corporate Gift SetMOQ100PCSCapacity8GBProduct Size22x20.5x4 CMMaterialMetal / Paper.. Souvenir NameUSB Corporate Gift SetMOQ100PCSCapacity8GBProduct Size27x27x4 CMMaterialMetal / PaperIm.. Souvenir NameBusiness Notebook SetMOQ100PCSProduct Size27.5x26x4 CMMaterialPU + Metal + PaperImprint.. Souvenir NameCharger Business SetMOQ50PCSCapacity5000mAHProduct Size18.5x18.5x4.5 CMMaterialMetal + .. Souvenir NameUSB Gift SetMOQ20 SetsCapacity5000mAh，8800mAh；1-32GProduct SizePen: 14CM; Power Bank: 7.. Souvenir NameBusiness Gift SetMOQ100PCSCapacity450MLProduct Size24x16x4.5 CMMaterialStainless Steel .. Souvenir NameBusiness Gift SetMOQ100PCSCapacity8G/16G/32G/64GProduct Size24x16x4.5 CMMaterialStainle.. Souvenir NameUSB Flash MemoryMOQ100PCSCapacity8G/16G/32G/64GProduct Size14.5x1.7CMMaterialMetalProdu.. Souvenir NameCharger Business SetMOQ100pcsCapacity8G/16G/32G/64GProduct Size24X16X4.5MMaterialPlasti.. Souvenir NameUSB Flash DriveMOQ100pcsCapacity8G/16G/32G/64GProduct Size17X13X3.5CMMaterialPlastic + .. Souvenir NameAdvertising penMOQ100PCSProduct Size14.2cmProduct Net Weight18gSample Lead Time5DaysPro.. Souvenir NameAdvertising PenMOQ100PCSProduct Size14.1cmProduct Net Weight19gSample Lead Time5DaysPro.. Souvenir NameBusiness SuitMOQ100PCSCapacity8/16/32/64GProduct Size240x160x45MMMaterialMetalImprint S.. Souvenir NameMetal PenMOQ100PCSProduct Size135x15MMMaterialMetalImprint SurfaceMetalMax. Imprint Are.. Souvenir NameMetal PenMOQ100PCSProduct Size145x13MMMaterialMetalImprint SurfaceMetalMax. Imprint Are.. Souvenir NameMetal PenMOQ100PCSProduct Size132x10MMMaterialMetalImprint SurfaceMetalMax. Imprint Are.. Souvenir NameHigh grade signature penMOQ100PCSProduct Size14.3x1CMMaterialMetalImprint SurfaceMetalM.. 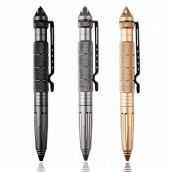 Souvenir NameNeutral pen of aluminum barMOQ100PCSProduct Size14.3x1CMMaterialAluminumImprint Surface.. Souvenir NameDiamond Stylus PenMOQ100PCSProduct Size14.3x1.1CMMaterialAluminumImprint SurfaceAluminu.. Souvenir NameAdvertising PenMOQ300PCSMaterialaluminumProduct Net Weight18.3GSample Lead Time5DaysPro.. Souvenir NameAdvertising PenMOQ300PCSProduct Size14.1CMMaterialaluminumProduct Net Weight14.6GSample.. Souvenir NameCross PenMOQ1PCMaterialMetalImprint SurfaceMetalPackageGift box.. Souvenir NameCross PenMOQ1PCImprint SurfaceMetalMax. Imprint AreaMetalPackageGift box.. Souvenir NameBusiness Metal Keychain Pen SetMOQ100PCSProduct Size18.8X14.2CMMaterialZinc AlloyProduc.. Souvenir NamePenMOQ100pcsProduct Size13x0.74CMMaterialMetalImprint SurfaceAluminumMax. Imprint Area1.. Souvenir NameAluminum Metal Pen Set with Tin BoxMaterialMetalMOQ100PCSProduct Size16x5.5x1.4CMPackag.. Souvenir NameCrystal LED + Laser PenMOQ500 PCSProduct Size14.3CMMaterialMetal+PlasticAvailable Color.. Souvenir NameDuo Pen SetMaterialPU+MetalMOQ100PCSPackageBoxProduct Size17x7x1.5CMSample Lead Time7Da..